A former US director of national intelligence has warned against using military means to solve the North Korea nuclear crisis, saying that Washington may have to live with Pyongyang’s weapons programme. 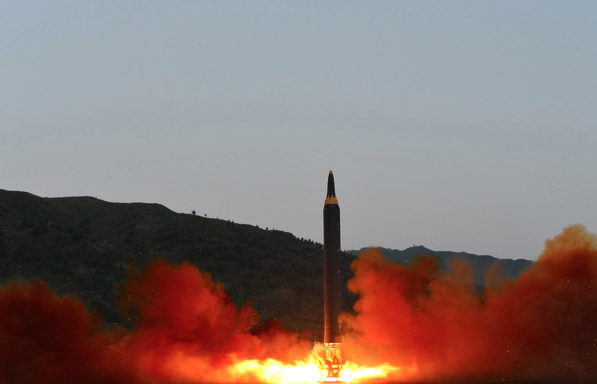 North Korea has defied all diplomatic efforts to stop its nuclear and missile programmes, and many in Washington are worried that US President Donald Trump may resort to a military solution. Sixty-four democratic lawmakers reminded the president in a joint letter on Tuesday that he would need congressional approval for any pre-emptive military strike. Dennis Blair, the director of national intelligence from 2009 to 2010, said using a surgical strike to take out North Korean nuclear facilities was risky. “North Korea has thousands of tunnels. It could have its nuclear system stored in all sorts of places,” said Blair, a former admiral who was also in charge of the US Pacific Command (PACOM) until 2002. Blair said it would be difficult to gather solid intelligence to pinpoint where the North Korean nuclear facilities were. “Last time we thought we knew where their nuclear system was about. We challenged them and pointed to a particular tunnel and said we wanted to look at that because we believed there were nuclear materials there,” he said. “We went in. We looked. And it was empty. Blair was speaking at an event organised by the National Committee on US-China Relations. Although it was focused on ties with Beijing, the North Korean issue dominated the conversation. When asked if the US may have to accept a nuclear-armed North Korea, he answered “yes”. He was referring to comments by Mattis last Friday that a military solution to the North Korea crisis would be “tragic on an unbelievable scale”. Mattis said Washington would work with other powers in the region to find a diplomatic solution. Locklear warned that if Kim “really presses on an issue that is crucial to the survival of the US, it could be tragic”. He admitted that if the peninsular sees military conflict, “Seoul will be heavily damaged”. The former admirals agreed a diplomatic solution was preferable to military action and Beijing could do more to rein in Pyongyang. “Chinese do have leverage over North Korea. They are reluctant to admit that. But China has more influence over North Korea than we do. 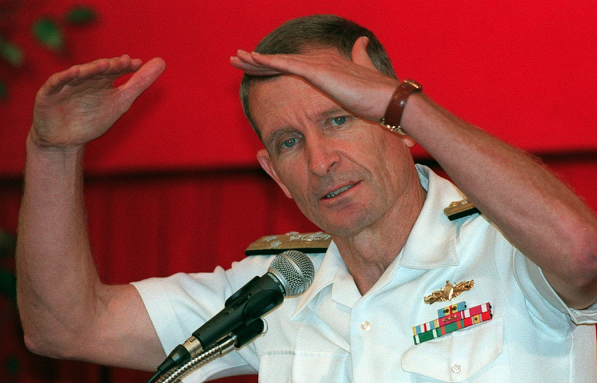 Working together with them will be crucial,” another former admiral, Joseph Prueher, said.